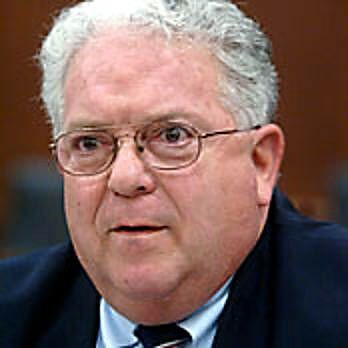 Steven J. Rosen posted a 445-word entry on February 19, 2009, titled "Alarming appointment at the CIA," about Charles Freeman's appointment as chairman of the National Intelligence Council, which had become public knowledge earlier that day due to a leak. Rosen then followed the issue with 17 other brief blog postings. Thanks largely to his raising the alarm, opposition to Freeman escalated over the next three weeks. Finally, on March 10, Freeman "requested that his selection" as NIC chairman "not proceed." During this period, my connections to the controversy were merely derivative of Rosen, employing him as a visiting fellow at the Middle East Forum and hosting his Obama Mideast Monitor weblog on the Forum's website. Only after the drama came to an end on March 10 did I send a private note to my readers, informing them of Rosen's role, noting "Steve's stature and credibility" and congratulating him on this achievement. On March 11, I went on Al-Jazeera English to discuss the topic. That's it. I had no idea of Freeman's candidacy before Rosen's initial column came out. I did not discuss with him what he should include or exclude in the weblog. I did not lift a finger to advance the anti-Freeman cause by strategizing or lobbying. I neither said nor wrote a single word in public before March 10 about the Freeman selection. In short, mine was a completely passive role. So, I read with interest Freeman's own account today of what went wrong with his appointment: "within a day or two [of the February 19 leak] the Steve Rosen and Daniel Pipes crowd began piling on."